The reservoir is stocked in the spring and fall with trout - mostly rainbow trout, but sometimes brown trout when they are available. A healthy bass population provides excellent bass fishing. Although this impoundment has historically been drawn down in the fall, we hope to see limited ice fishing access. 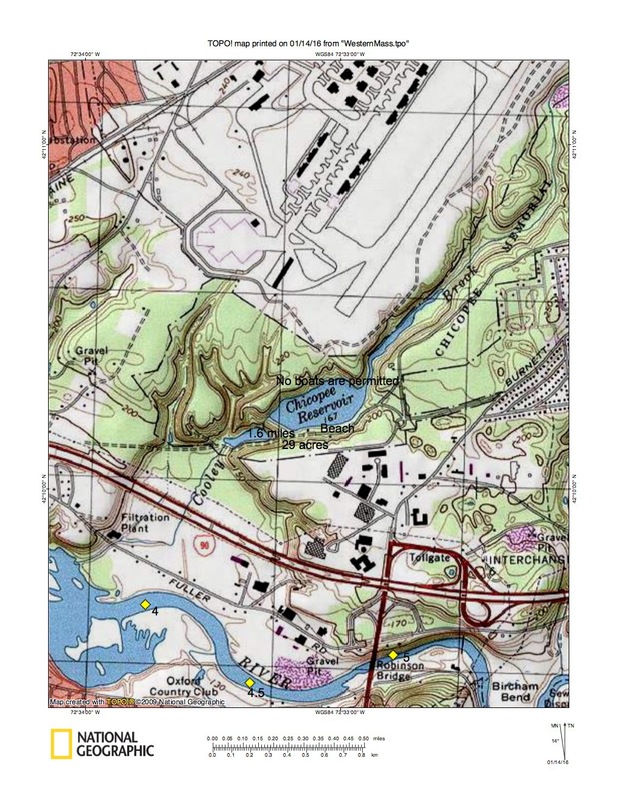 Chicopee Memorial State Park (formerly the Cooley Brook Reservoir and Watershed) is a 575-acre Massachusetts state park located in the Burnett Road neighborhood of the city of Chicopee. The park is managed by the Department of Conservation and Recreation. Because of it's urban location, on popular days, the park may reach maximum capacity. When this happens, the park will temporarily close until parking is available. You can keep up with capacity updates by following our Twitter account or call us at (617) 626-4973. For hours a details try the link below. At the end of the ramp, at the stoplight, turn right on Burnett Road. 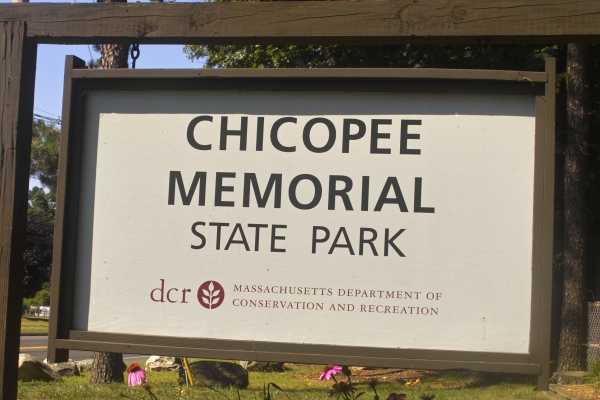 At mile 0.6, turn left at the Chicopee Memorial State Park sign. 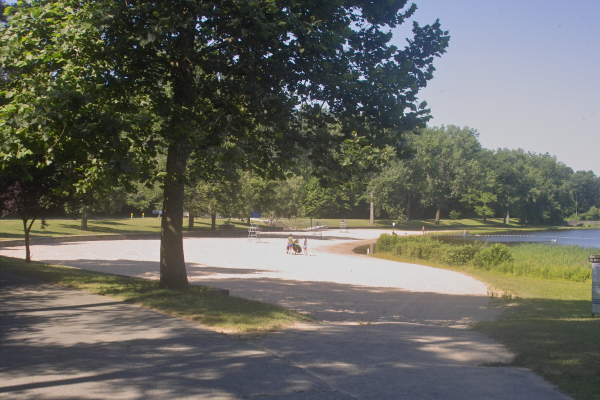 Travel into the State Park following signs for the beach. At mile 1.1 arrive at the parking for the beach. The beach is well kept. It is raked out almost every day. 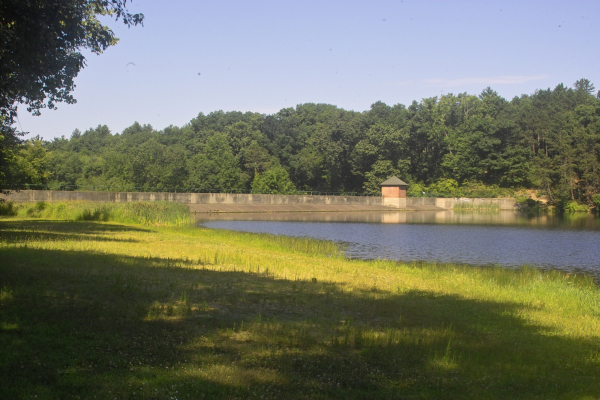 A view of the dam. There is a walkway over the dam.